We just got back from our 3,200 mile road trip from Detroit, MI to San Francisco, CA and still have a bunch of gear to giveaway. This contest is simple: simply guess how many bathroom breaks my wife and I took along the 3,200 road trip. You should know though that my wife, and co-pilot on the trip, is five months pregnant and I had something going on with my bladder for a few days. And yes, we did keep track so this isn’t just some random number. 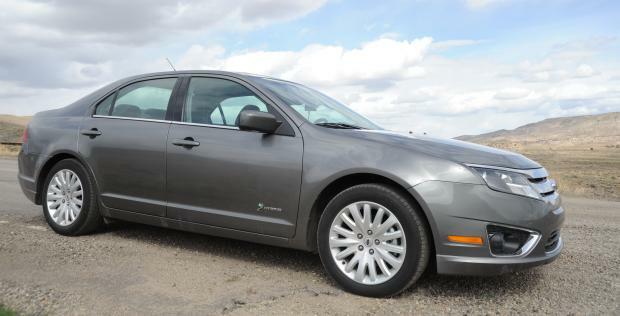 Our intent was to give away this stuff while on the road by having our readers guess the 2010 Ford Fusion Hybrid’s gas mileage, but that car got 35 mpg no matter how I drove it making the contests kind of lame. Seriously, no matter how hard I pushed the car or broke the speed limit, it got 35 mpg +/- a bit. So, here we are with a lot of gear to giveaway. Expect another contest later in the day with even more stuff. Contest details: Just guess and only enter once. The winner will be choosen from all the right answers. Make sure you enter the correct email too, ’cause that’s how we will contact you. The contest will end Wednesday at 12:00 pm EST.